Cortec Advanced Films (CAF) manufactures recyclable Vapor phase Corrosion Inhibiting films, which are used to protect metal parts and equipment from corrosion during storage and shipping. when it moved reprocessing in house. CAF incorporates the “repro” back into the virgin film at up to 20 percent, a level at which CAF can ensure quality of the new product. The recycling program is a win-win-win situation for customers, Cortec, and the environment. On the customer side, many suppliers or manufacturers use Cortec VpCI films to protect components from corrosion. The customer who removes or offcuts the film must decide what to do with the used plastic, which often ends up in the landfill. 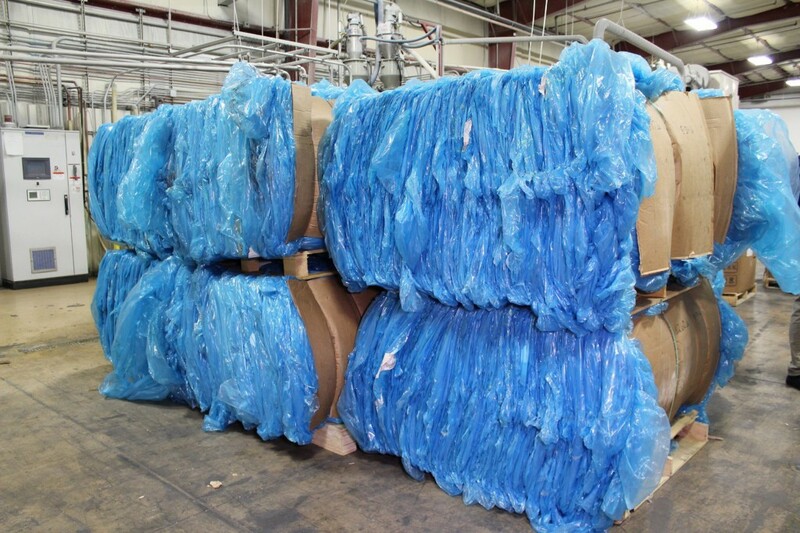 Instead of paying thousands of dollars for disposal, the customer can now send the used VpCI® bags to Cortec, who pays shipping and gives customer credit in exchange for the benefit of having an additional source of repro. Environmental responsibility and reduction of carbon footprint are added benefits for both parties. In addition to building new warehouse space for its repro program and other operations, CAF will be adding office space and improving common use facilities for the benefit of its employees. The new office building will host a Training Center for employee and customer conferences and will make a positive visual impact on the city with its refreshed architecture. CAF will also be seeking to increase production this year by modernizing Line #21, CAF’s largest extrusion line. A new die and air ring will allow greater productivity and better control over film thickness, while a new state-of-the-art winder with automatic roll to roll transfer will increase employee safety. Other improvements will follow as CAF strives to increase the efficiency of this important line. Cortec looks forward to the many benefits its expansion will bring to customers, the community, and Cortec itself. By staying mindful of the environment while improving efficiency and employee wellbeing, Cortec Advanced Films is making important advances and demonstrating its continued leadership in the VpCI film market.